Boeing Zhoushan 737 Completion and Delivery Center in east China's Zhejiang Province delivered its first plane of the 737 family to Air China on Saturday. 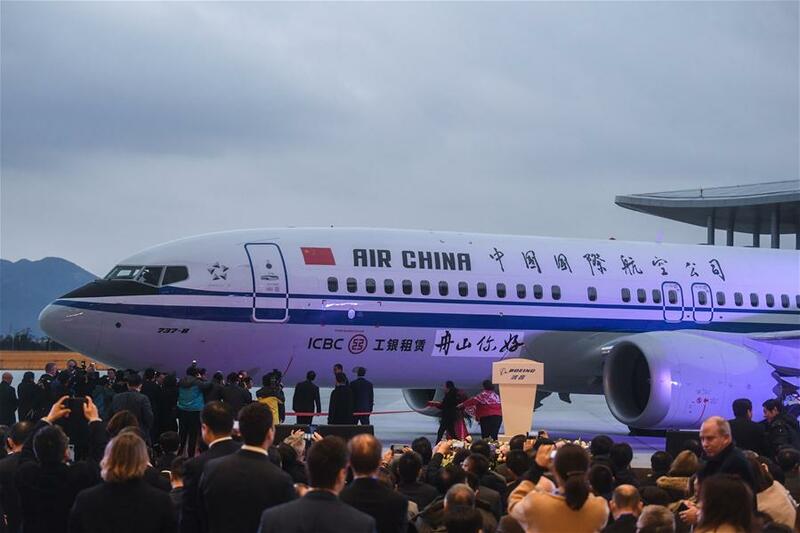 The delivery marked the U.S. aerospace giant and its Chinese partner Commercial Aircraft Corporation of China, Ltd (COMAC) put into operation of their joint plant, the first such Boeing facility outside the United States. The 737 MAX 8 airplane was assembled at Boeing's Renton plant in the United States. 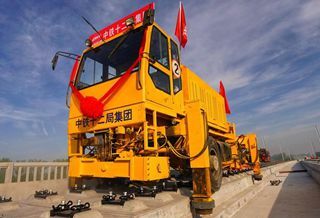 It flied to China's coastal city of Zhoushan and received the completion works. "The moment signifies our growing partnership with China that stretches back over nearly half a century," said Kevin McAllister, president and CEO of Boeing Commercial Airplanes. Zhao Yuerang, president of COMAC, said this opened a new era of the collaboration between the two airplane manufacturers. The Boeing Zhoushan project includes two parts -- a Boeing 737 completion center and the delivery center. In the Boeing-COMAC joint completion center, Boeing 737 family aircraft will receive interior installation, painting, maintenance and delivery. It took only around 20 months for the Boeing Zhoushan project to put into operation after the ground-breaking in May 2017. Its maximum capacity is the annual completion and delivery of 100 airplanes of the 737 family. In 2017, Boeing delivered 202 new airplanes to Chinese customers, representing 26 percent of its global commercial aircraft deliveries. China is now the world's second largest civil aviation market. By the end of last year, the country's in-service civil aviation fleet reached 3,296. The International Air Transport Association forecasts that China will be the largest civil aviation market by the mid-2020s.